The Mt. Laurel Center for the Performing Arts consists of new construction and renovations to over 100,000 SF and consisted of the development of a 2,500 to 10,000 seat amphitheater; conversion of a former boathouse into a conference center; conversion of the former administration building into a Cultural Arts Center; creation of small outdoor concert space; parking; infrastructure and wetland delineation. 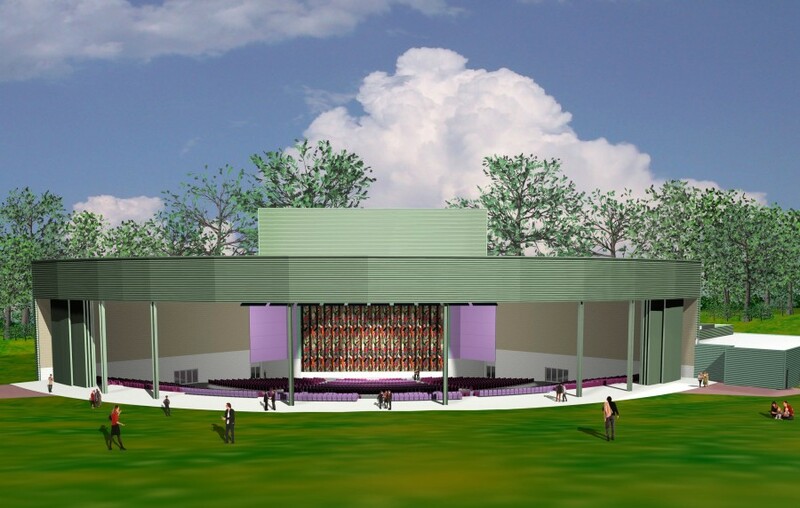 The Amphitheater involved designing a 2,500 seat, climate controlled amphitheater with an opening rear wall that allowed for an additional 7,500 lawn seats. The facility included an 80 foot fly, several green rooms, conference rooms, loading and storage areas. The Boathouse involved designing a space that would allow for reprogrammed uses including: a 400 seat Conference Center with outdoor observation decks, porches, beach areas and a kitchen facility capable of accommodating the culinary needs of the Conference Center and the Amphitheater. The Cultural Arts Center involved renovation of the former administration building including a 1,500 seat dining room, a kitchen, storage space and a large performance space. The refurbished 1959 theater has a 1,100 seating capacity. The extensive site development involved ingress and egress, parking, bus drop off areas, multiple outdoor performance sites, custom signage, landscaping, storm water management and over all master planning to delineate future projects.